If you have a construction project that calls for superflat floors, it pays to partner with a company with the expertise to get the job done right. Dynamic Concrete Pumping, Inc. is an industry leader in superflat floor services offering everything you need in a single, reliable source. As full-service superflat floor contractors, we provide the broad capabilities to help you complete projects on time and beyond expectations. Being the industry leaders in super flat floors, Dynamic Concrete uses their 40 years of experience to provide 100% customer satisfaction. Certain classes of floors are required to meet a more demanding levelness or flatness specification referred to as superflat concrete floors. 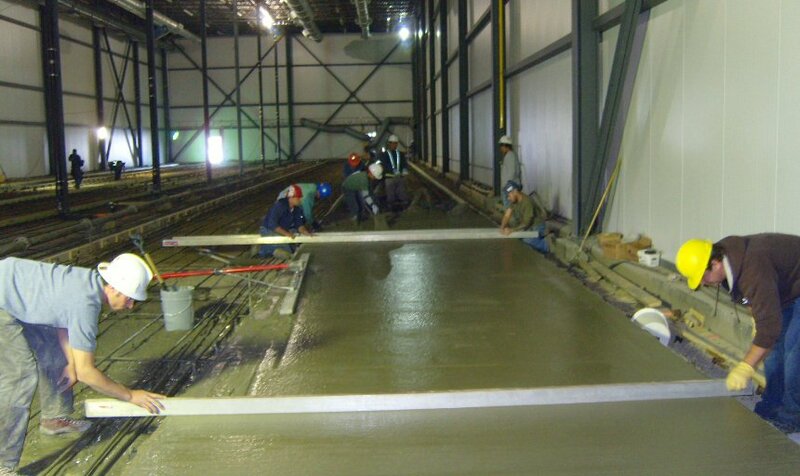 These high-performance concrete floors are necessary for supporting vehicles such as lift trucks and material handlers working at warehousing and distribution centers. Additional projects where superflat floors are required include stadiums and gymnasiums, production studios, ice rinks, office and industrial buildings and many other applications. We are the most experienced and dependable source for superflat floors from British Columbia and Saskatchewan to Alberta and beyond. 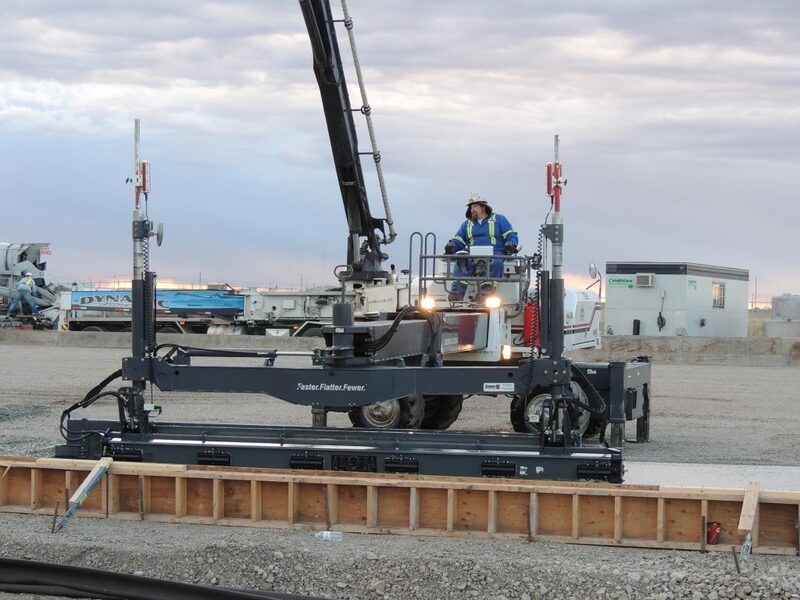 Our skilled and certified boom operators and technicians understand how to pour superflat floors that meet your specifications. 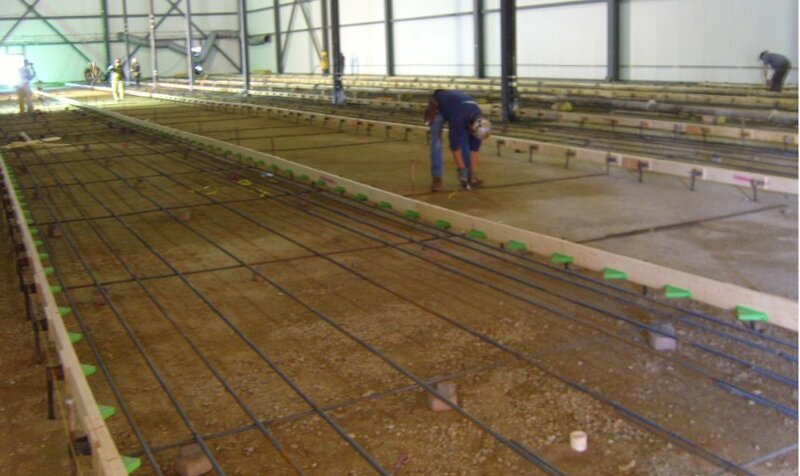 From preparing the site and setting edge forms to using laser screeds and advanced technology to achieve the perfect pour, we’re capable of efficiently handling every aspect of the process. Dynamic Concrete’s superflat floors division features the most modern and advanced placing and finishing equipment in the industry. Our state-of-the-art laser screed technology makes it possible to pour up to 75,000-square-feet of slab on grade per day while adhering to the highest quality standards. We are continually updating our fleet of equipment to ensure we meet your superflat concrete floors demands safely, quickly and economically. 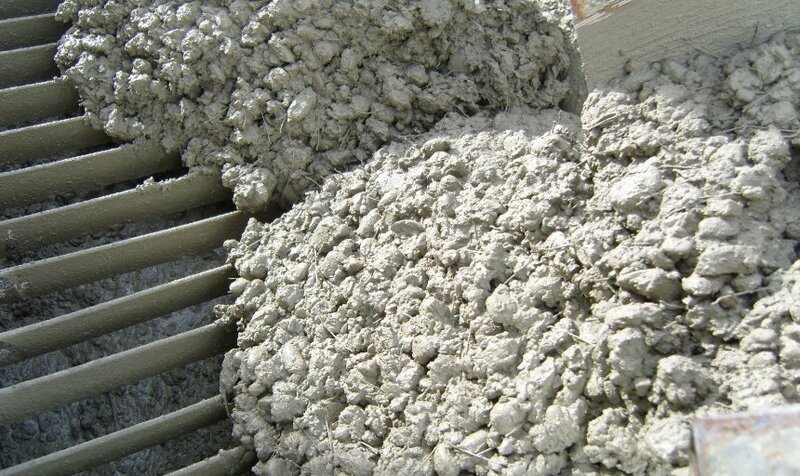 B) Dynamic specializes in the placement of concrete with F-Min tolerances. 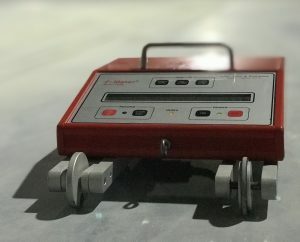 C) Dynamic’s 35 years of experience and continued training and education and investments in the latest techniques and equipment provide everyday customers with higher FF/FL performances and better quality concrete floors. 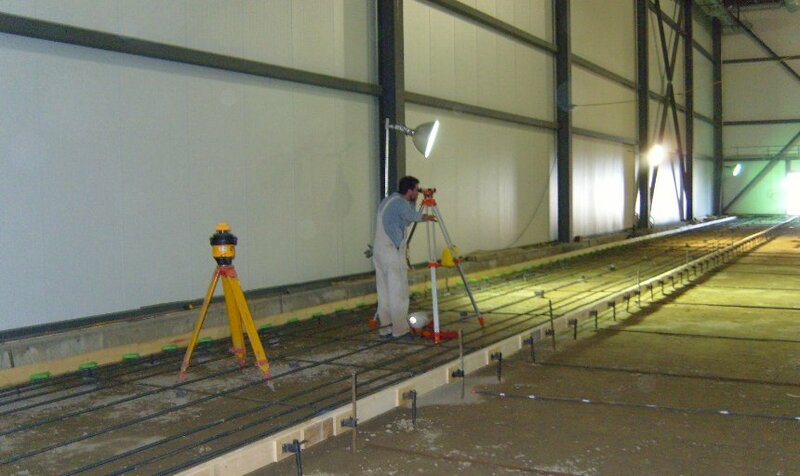 D) Dynamic’s fleet of late model laser screeds ensures we can successfully install pour volumes exceeding 60,000-square-feet per pour per day and when all four screeds are busy we can install in excess of 200,00-square-feet per day. E) Dynamic uses the latest technology (FF/FL measuring device) superflat profiler. With our Quality Control Team, we can measure our results and track daily pour results and monitor projects on a daily and monthly basis to completion. 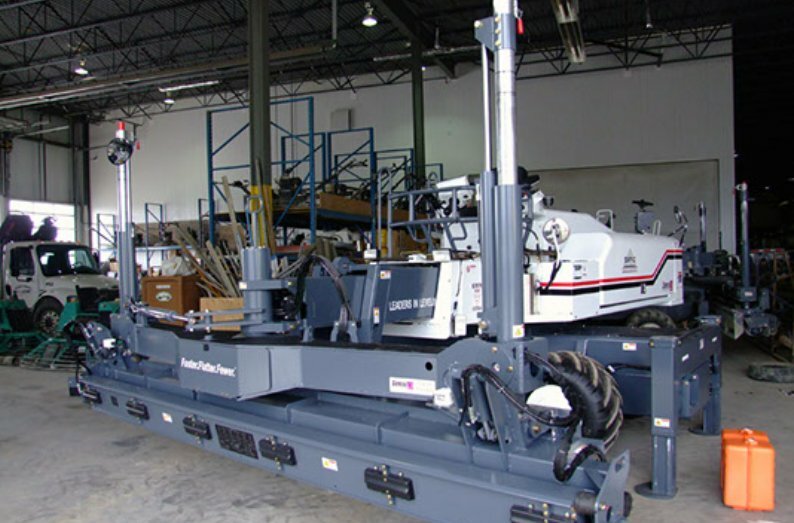 This provides our customers with flatness records ensuring we continue to provide high performance floors. 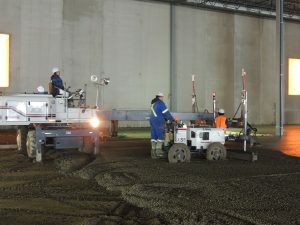 F) Dynamic has the industry reputation as the best superflat team and when you combine our extensive knowledge and expertise, we provide solutions to all aspects of “High Performance” concrete floors. Ask us for a reference list but be prepared, it’s a long list. 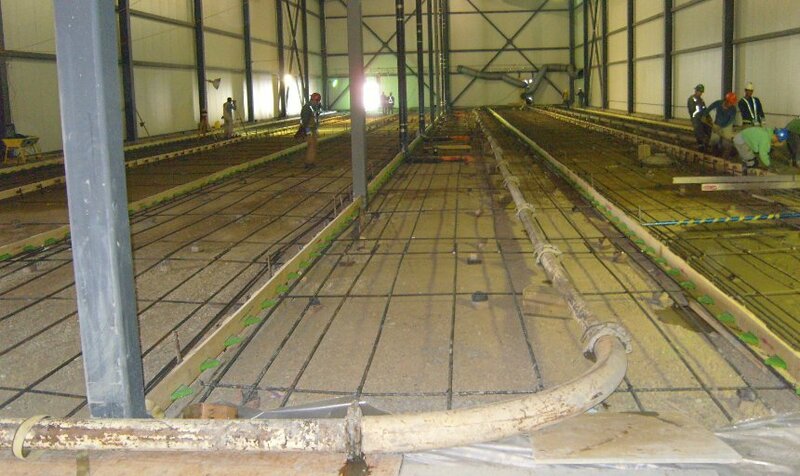 G) Dynamic can install the formwork required to achieve high tolerance FF/FL and F min flooring. Trust the superflat floor contractors dedicated to completing projects to your 100% satisfaction. We strive to provide the quality, value and service you require to maximize profitability. Contact us online for additional details and to request to speak to a knowledgeable, live representative. Our professional team is standing by to answer all your questions and assist in getting started with your projects today. All the above require a very level and flat finished concrete floor and we have the experience and knowledge to exceed your requirements.